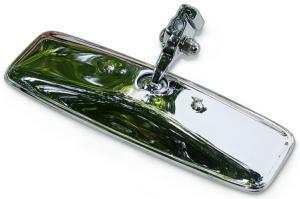 Mirror dimensions 150mm x 63mm. Stainless - will never rust corrode or pit. 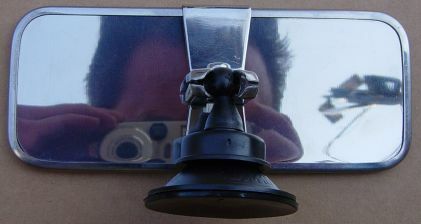 Can be fitted to top of dashboard to stand up or screen frame to hang down. 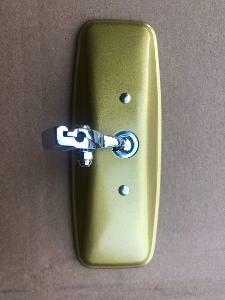 Stainless mirror with gold painted back. Designed for fitting to cars equipped with a central windscreen rod. This mirror was OE for MG MGB Roadster 1962-69, MG Midget 1964-68, Austin Healey Sprite 1965-68 and some low production models eg AC Cobra. Also suits period kit cars. 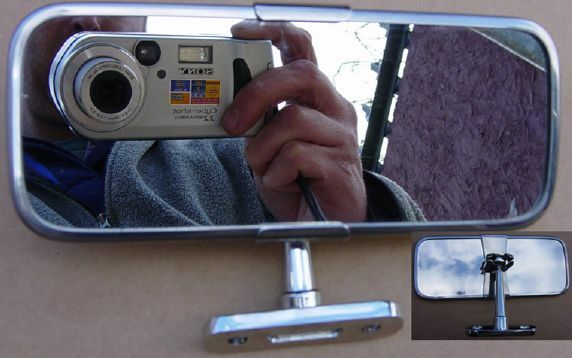 Stainless mirror with stainless back.